Today’s consumer puts a lot of trust in search engines to find what they need. Google receives 34,000 searches per second. Those searches involve finding products, reviewing brands, and looking up business locations. And when a brand appears in the first page of search results, it earns trust from consumers. At Naked Media, we use SEO to build trust with your audience. We embed your brand in the search engines they trust, with the keywords and terms they’re searching for. And we’re very good at this. Have taken many clients to a national SEO level producing 10,000 leads plus, all off of search engine marketing campaigns. SEO is no longer just about rankings. It’s about building trust with your audience, answering their questions, addressing their concerns, and giving them great content.We can help your business reach the next step with our Search Engine Marketing Services. 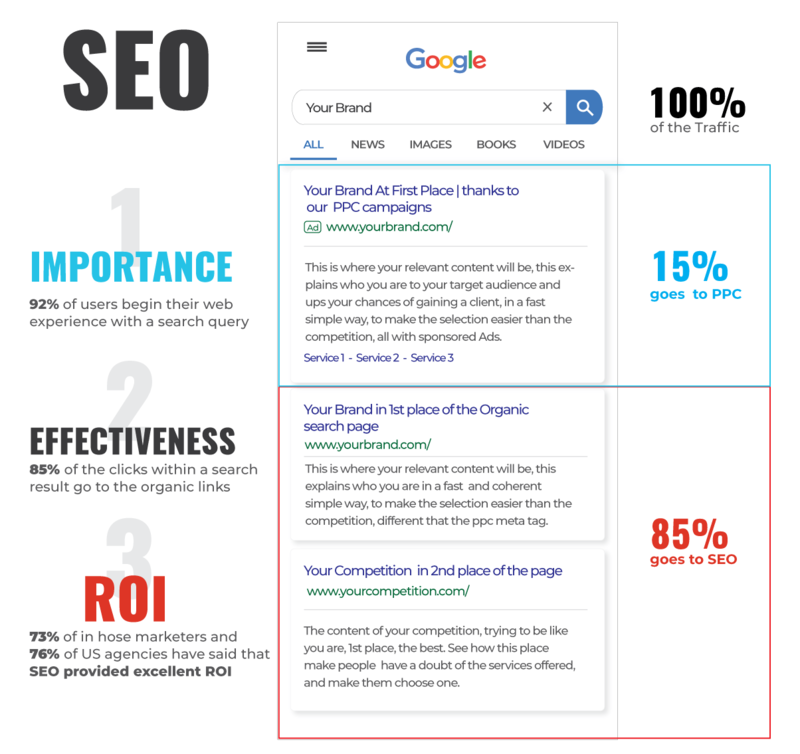 Our Fort Lauderdale SEO team will evaluate your website and determine which Search Engine Marketing Services will best suit the needs of your business to help it grow to the next level.